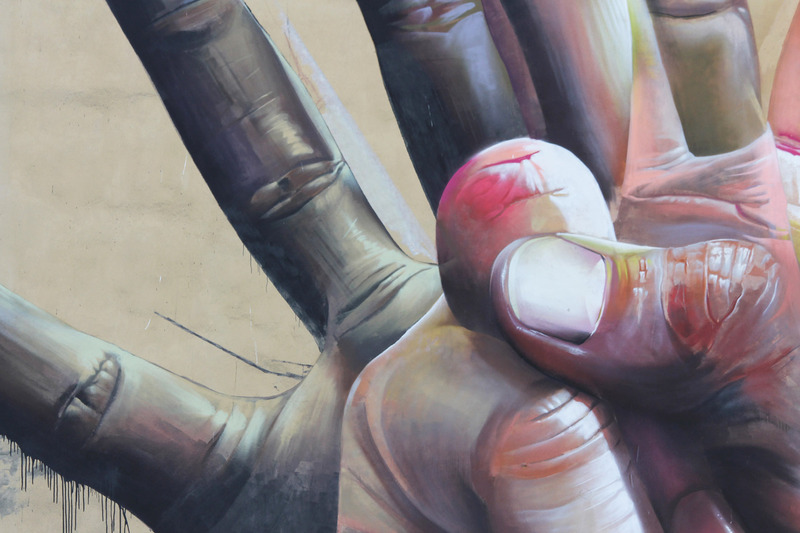 Unter der Hand is a gloriously bright, photorealistic mural of overlapping hands from Frankfurt-based street artist CASE aka CASE Maclaim in Berlin. 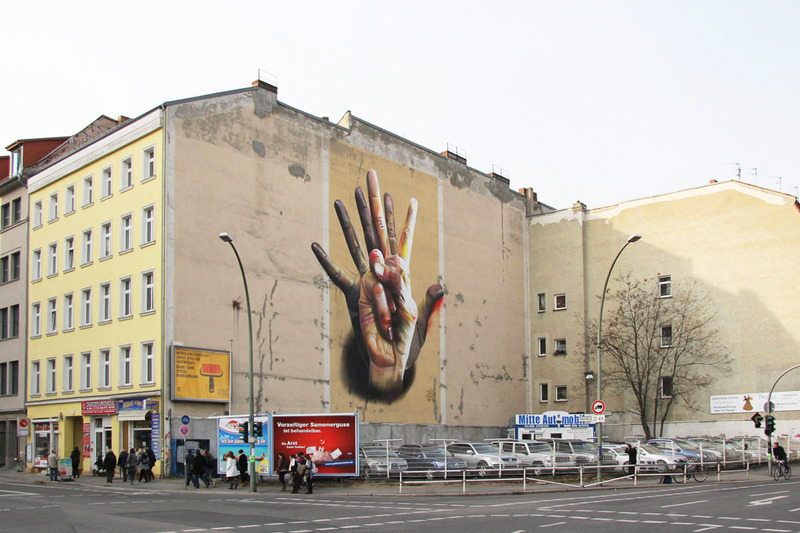 Andreas von Chrzanowski, the man responsible for painting these massive hands in February 2014 was born in Thüringen. 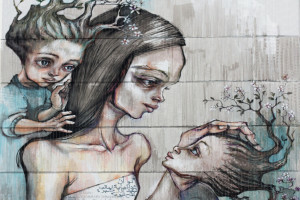 He is regarded as a pioneer of the photorealistic street art movement and has been part of the Maclaim Crew since 2000, along with another street art heavyweight, Akut – one half of Herakut, who painted one of my other favourite Berlin murals. “Power” and “movement” have individually played key roles in the backbone of his German roots, inspiring him to communicate his strong messages of unity and power by overlaying hands. The overlaying “movement” is not just the physical body movement but political movement, generally being left without a particular context in which the viewer is left to visualize the remaining story and/or emotion, relative to their current situations. Having travelled to over 20 countries he has literally left his fingerprints in each, continually leaving bits and pieces of a language understood by all – after all a hand gesture can tell a thousand words. 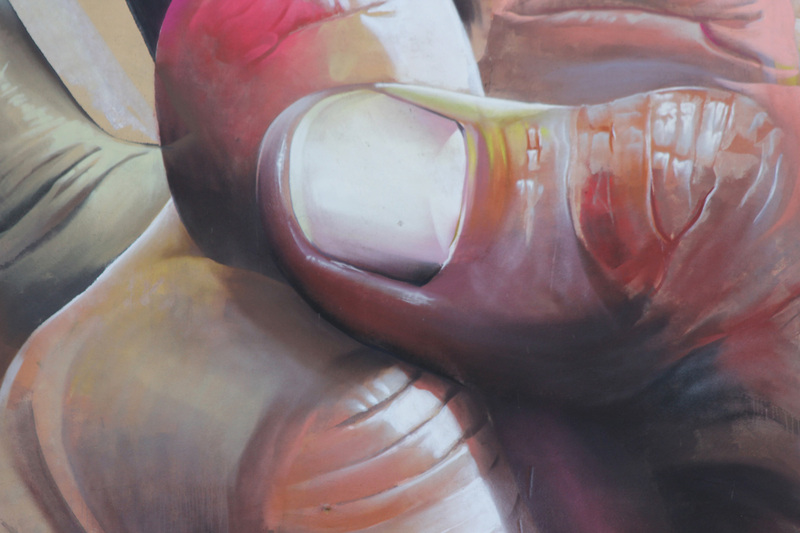 If you like what you see, there is more work from CASE Maclaim in Berlin. 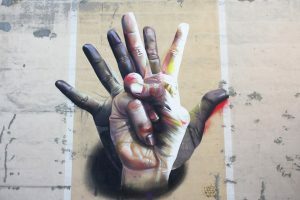 There is a pair of his signature hands on the entrance to a garage on Bülowstrasse near the headquarters of Urban Nation. 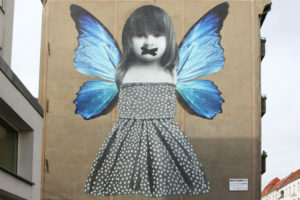 You’ll also find a large mural by the Maclaim crew on the firewall of a building at the corner of Torstrasse and Chauseestrasse that dates back to 2009. 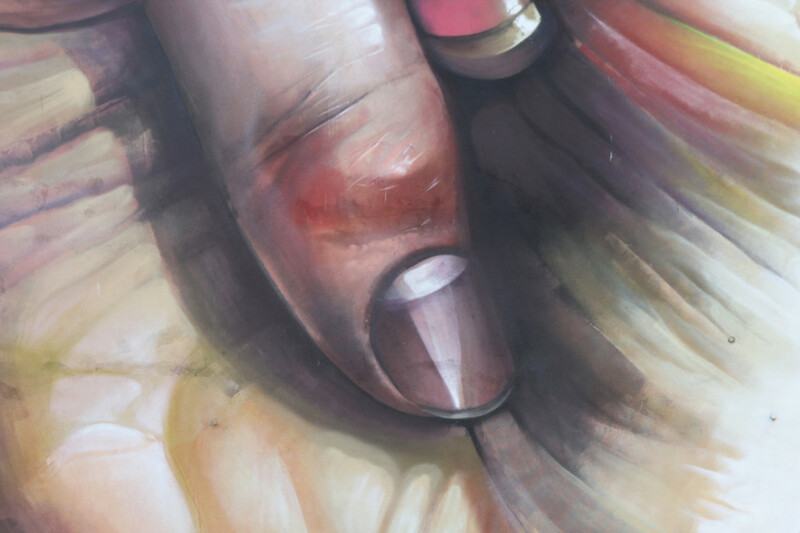 To see the CASE Maclaim Unter der Hand mural for yourself, head to the U-Bahnhof Heinrich-Heine-Strasse – the painting is on the side of the building on the corner of Brückenstrasse and Köpenicker Strasse.